Like our vines, the family roots of Volcanic Hills Winery run deep. Back in 1958 Mehtab Gidda came to our "Land of Wonder" with a dream and $5 in his pocket. In 1978, Mehtab’s son, Sarwan Gidda, officially began growing grapes in the Okanagan Valley. Two generations, 60 years, and a lot of hard work later... we are proud of what happens when you pursue a dream. Our vineyard and original orchards are within 10 km of our winery in West Kelowna. Our family’s winery open May 2010, and is situated on the southeastern slope of a 60 million year old dormant volcano – Boucherie Mountain, which inspired the name “Volcanic Hills”. This extinct volcano created a rich layer of soil deep beneath our feet, which our oldest vineyards are benefiting from. This is a land of opportunity, this is the terroir of the Okanagan Valley bottled for all to enjoy. We hope you'll give us a visit and enjoy wines erupting with flavour! Open daily and open on all holidays. 10 a.m. – 8 p.m May through October; 11 a.m. – 5:30 p.m., daily, November to April; $5 for 4 wine samples, fee waived with wine purchase. 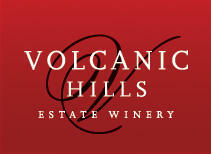 A selection of 6 wines selected by Volcanic Hills family and winemaker and sent to members three times per year. See our website for details and membership perks!